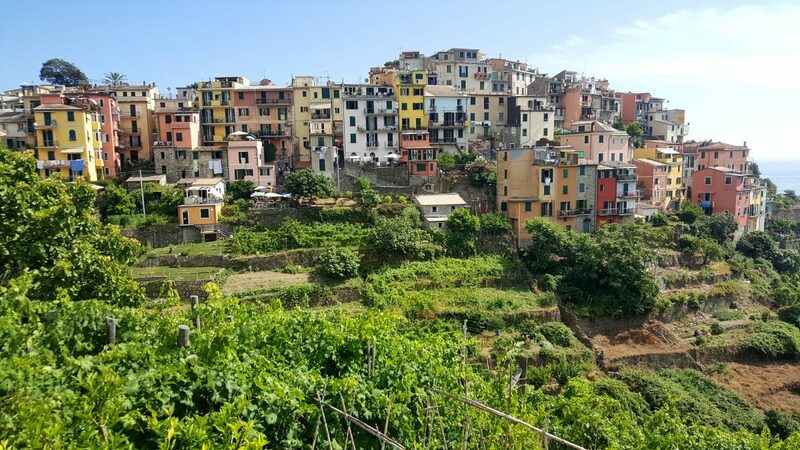 The five villages that make up the Cinque Terre (AKA the Italian Riviera) is one of the most beautiful places in the world. As cheesy as it may sound, it really is difficult to take a bad photo here. Even so, if you’re planning to travel to this slice of heaven this year, it pays to know where to find the best photo spots. Riomagiorre is the gateway village to the Cinque Terre. There are two photo spots that you absolutely have to check out. The first spot: the Riomagiorre harbour. 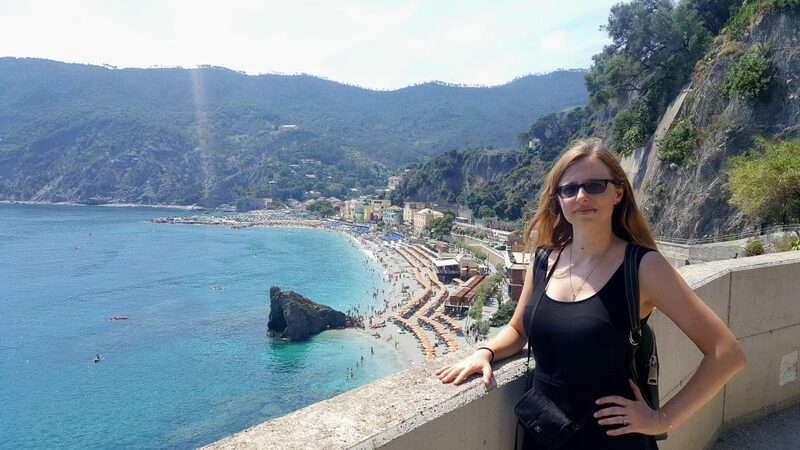 It’s truly beautiful and in my opinion, one of the best photo spots in the Cinque Terre. In fact, my husband and I liked it so much that we have a mural of the Riomagiorre harbour painted in the hallway of our house back in Pretoria, South Africa. You can find the second spot if you take the path that runs ‘above’ the village. Just keep on climbing the stairs until you cannot go any higher. The houses nestled in the hills. The Church of San Giovanni Battista. This makes for a great photo spot. Manarola is one of the busiest and most popular villages in the Cinque Terre. There aren’t many photo spots inside the village to speak of. 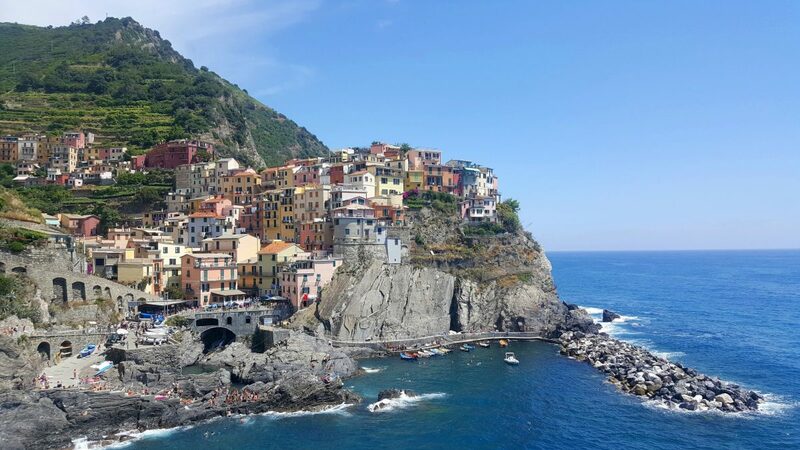 The magic happens as you walk out of Manarola and look back. You’ll see a lot of people taking photos here. The classic shot is of the hill, the village, and the quaint little harbour. This is also the most iconic photo spot. If you were to google ‘Cinque Terre’ this is the image that would come up first in the search results. The second spot is located inside the village. There is a staircase right next to the San Pietro Church. If you take it to the top, you reach this viewpoint. 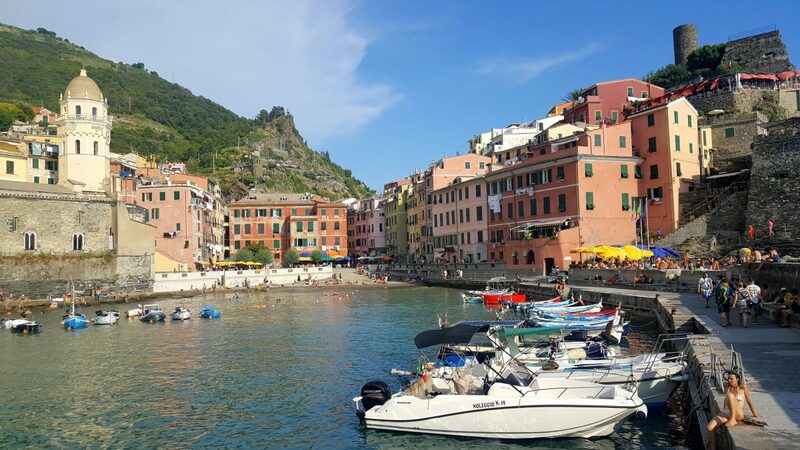 Vernazza is my favourite Cinque Terre village and in my opinion, the prettiest. The whole village feels like is a painting, unreal in a way. 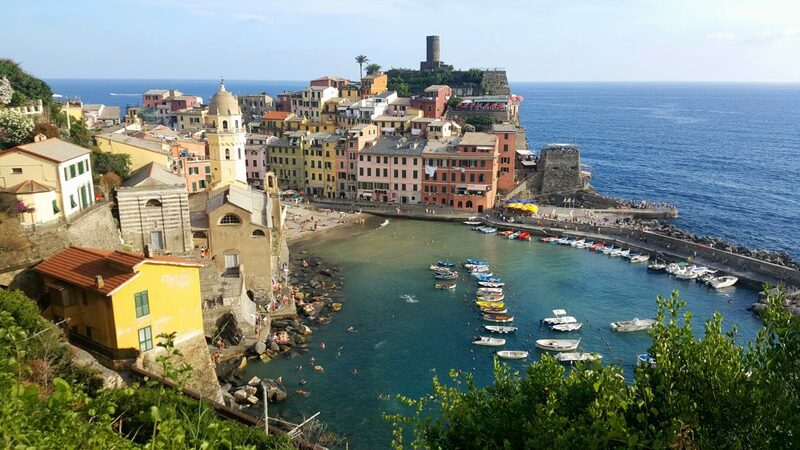 It should also then not come as a surprise that Vernazza has the most photo spots (four that you simply cannot miss). The first photo spot is in the harbour. Walk to the very end of the pier and look back at the village. 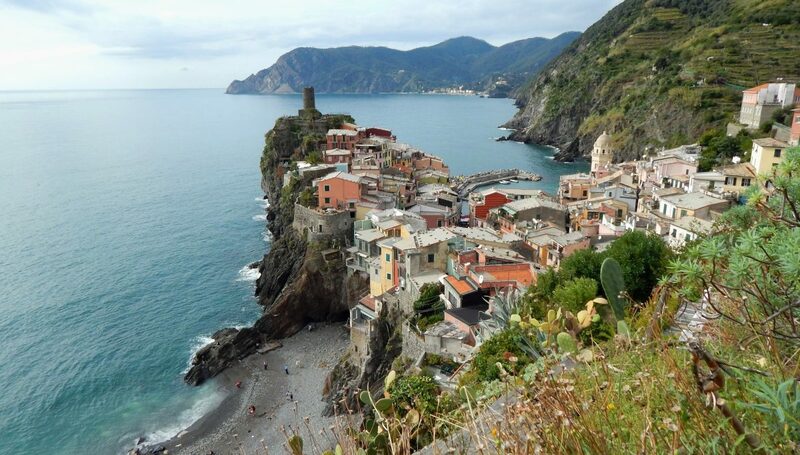 To reach the second spot, you’ll have to pay an entrance fee and climb the castle (Castello di Vernazza). But the view is so worth it. 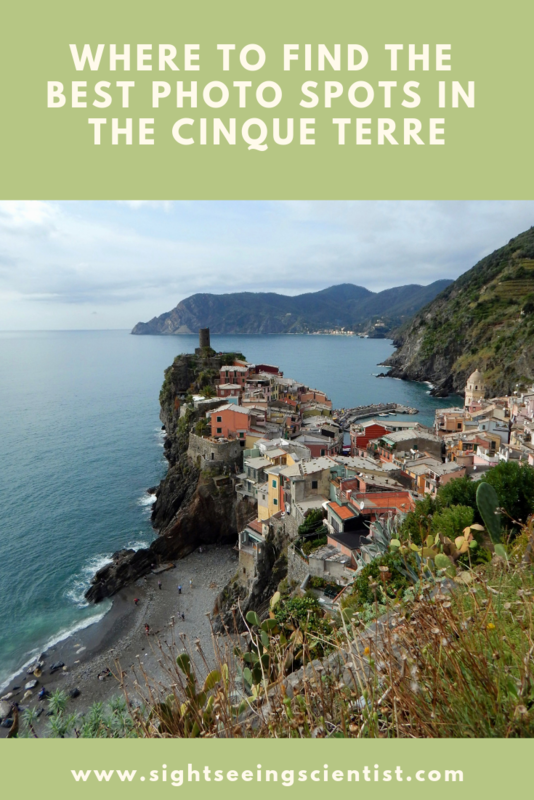 The remaining two photo spots are located on the Cinque Terre hiking trails. 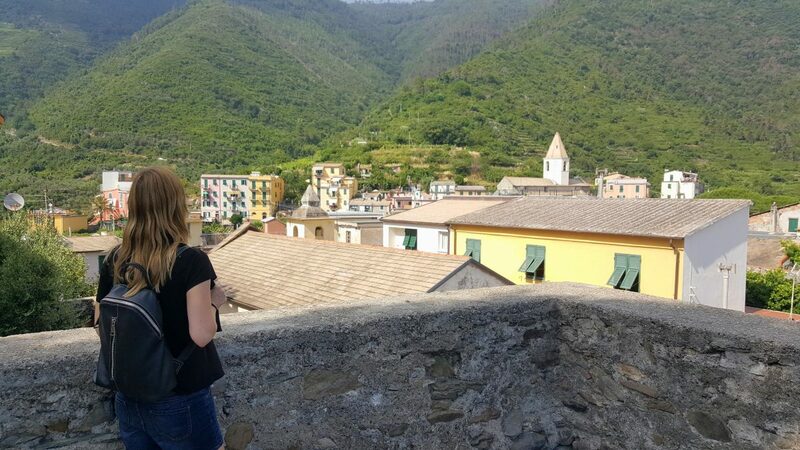 Check out this great photo spot on the trail towards Corniglia. The other one is on the trail towards Monterosso al Mare. To reach this photo spot you’ll have to go through a Cinque Terre hiking trail checkpoint so you might need a pass/card (although nobody was in the booth when I visited). This is my absolute favourite photo spot in the Cinque Terre. I mean, can you beat this view? 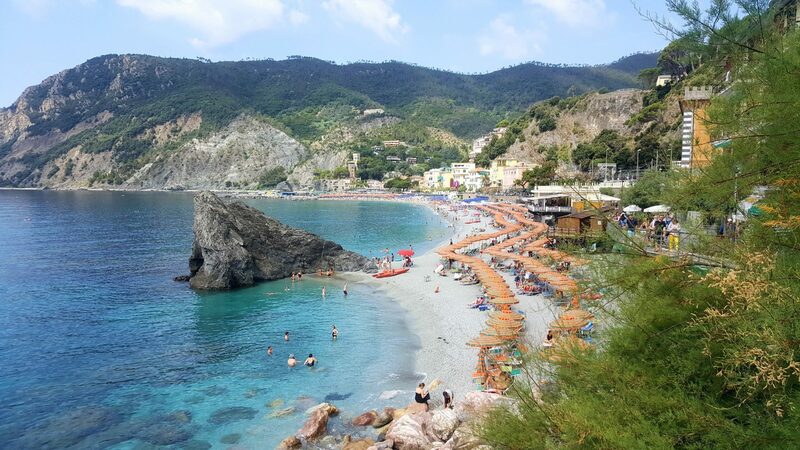 What makes Monterosso so scenic? The short answer: the beaches! There are three photo spots that I recommend. The first one is on the hiking trail towards Vernazza. 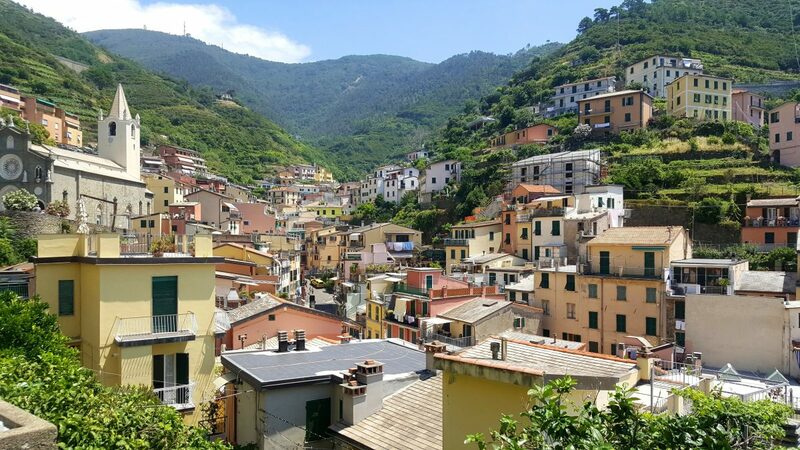 If you cannot tell by now, the Cinque Terre hiking trails are filled with instagrammable spots. 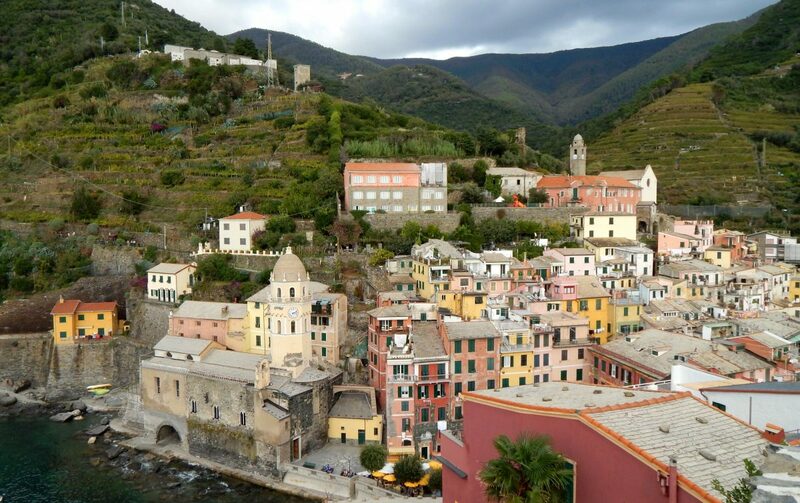 The other two spots are located on San Cristoforo Hill between the old town and the new town of Monterosso. 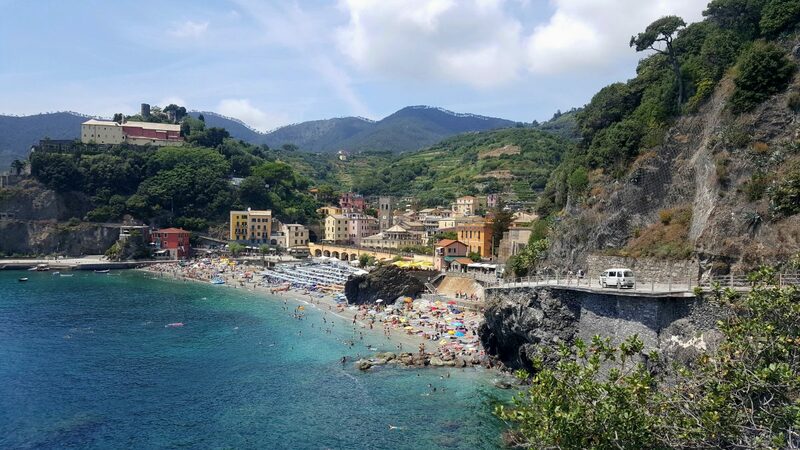 The easiest way to climb the hill is to take the stairs next to the Monterosso Tourist Information Centre (in the old town). 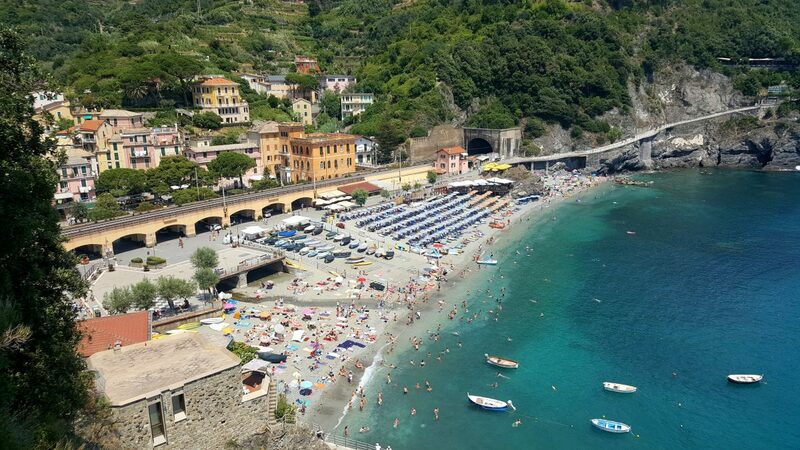 One spot overlooks Monterosso Beach. On the other side of the hill, you can see the new part of town. The view is one of a kind. 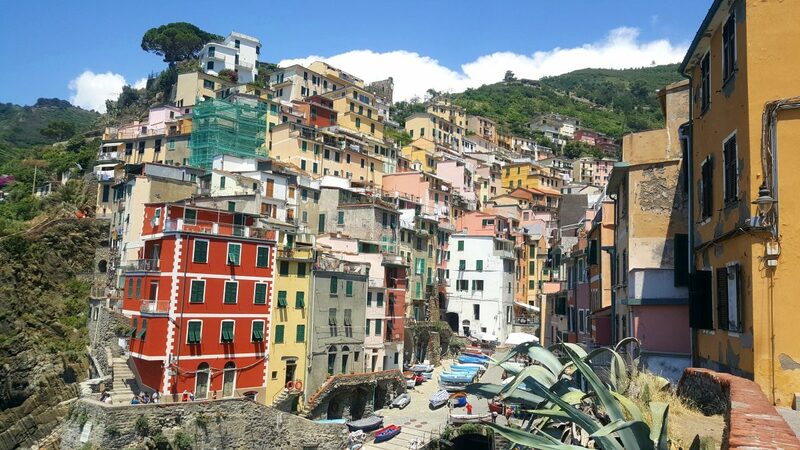 There you have it, my picks for the top photo spots in the Cinque Terre. Over to you. Do you agree with my choices? Feel free to add to my list in the comment section below.